To have clear direction in our lives is a process that is built upon a solid spiritual life, our human qualities and the gifts that the Holy Spirit has given to us. Acquiring this knowledge is a process of serious prayer and the intelligent seeking of His designs – the way through which each one of us ought to travel to encounter Christ and grow in the perfection of love. Christ is the Way, and our Christian life is about following this Way in a communitarian, as well as a personal, manner. Each one needs to find the manner in which they are called to follow the steps of the Lamb. In the first years of Christianity, those who united themselves to the community were known as the “followers of the Way.” The Didache, a catechesis of the first century for those who were initiated in the faith, dedicated its first chapters to instruction concerning two possible paths in the spiritual life: the one of God; and the one of the devil that begins by appealing to fleshly desires like honors, comforts, riches, pride – i.e. the temptations of the desert. The spiritual life has as its goal to “fulfill in all things the will of God.” This ought to be the only desire of our heart: to do the will of the Father. This was the only desire of Christ: “My food is to do the will of the One who sent me and to fulfill his work” (John 4:34). 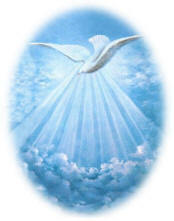 And again, “I have come down from Heaven not to do my will, but the will of the one who sent me” (John 6:38). This will entail a great battle: the encounter between the two wills – ours and that of God. Our greatest offering to God is to give Him our wills. Like the Blessed Virgin, we must say, “Let it be done in me according to Your Word” (Luke 1:38), and like Jesus, “Not my will but yours be done” (Mt 26:39). This requires us to say “no” to what we would have liked, to what is favored by us and pleases us, and “yes” to what the Father has permitted in His eternal design for us. Only in the will of God will we find perfection, peace, fullness, joy and rest…“My yoke is easy and my burden light” (Matt 11:30). The purpose of the Christian life is to be in communion with God and to grow each day in this communion with His Heart and with His designs for us. It is to be fully in His will – “your will be done on earth as it is in Heaven.” Do we know what it is to have His will done in our lives as it is done in Heaven? For this reason, the great work is to discern the will of God in our lives. The importance of discernment is to be able to discover, with clarity and conviction, the design of God for our lives, the direction that we ought to take, and the means to reach the goal. As St. Paul said, “That you may be filled with the knowledge of his will through all spiritual wisdom and understanding to live in a manner worthy of the Lord, so as to be fully pleasing, in every good work bearing fruit and growing in the knowledge of God” (Col 1:9-10). The Lord has revealed His will to us through Sacred Scriptures, Sacred Tradition and the Magisterium of the Church. However, He desires that we come to know how to apply it in our lives personally and in given situations. In addition, He desires to reveal His personal plan to us in each moment of our lives. For this, we should have the necessary dispositions to listen to Him. We need to make some distinctions concerning the nature of discernment. The discernment of spirits is an intimate knowledge that allows us to distinguish and differentiate whether the inspirations or impulses we experience come from the Spirit of God, from an evil spirit or from our own human spirit. The human spirit is our “I.” It is our imagination, the impulses of our intelligence and will, and above all things, the inclinations of our appetite. It is the old man from which we must strip ourselves (Eph. 4:22). Discernment is a gift that enables us to correctly identify the presence of God, His plan, His will, and His actions in particular circumstances or when we find ourselves faced with different directions or alternatives. It is not about choosing between good and bad; rather, it concerns a choice among a variety of alternatives of equal value. “‘Everything is lawful for me,’ but not everything is beneficial” (1 Cor 6:12). It allows us to discover where our interior and exterior movements come from – God, the flesh, or the devil. As St. Paul said, “Do not quench the Spirit…Test everything; retain what is good. Refrain from every kind of evil” (1 Thes 5:19-22). Sometimes we may be presented with a situation in which part is from God and another part is not. We must know how to distinguish between the weeds and the grass and how to deal with both of them. Discernment allows us to perceive the “calls,” “impulses,” or “spirits” that are opposed to the movements of the Holy Spirit or that can impede, weaken, distract, or frustrate them somehow. “Do not trust every spirit but test the spirits to see whether they belong to God” (1 Jn 4:1). As well, the gift of discernment is used often in areas that are not so obvious and evident (1 Cor 2:9). The gift gives us a spiritual perception, a capacity to penetrate through external appearances in order to discover underlying origins and intentions. Finally, the gift allows us to discover where God is leading us on our spiritual and apostolic paths. What does He want to do with our hearts and our lives? We need to discern in order to know “if” and “how” our actions and decisions direct us toward the goal of our lives in God and toward His will for our state in life. For example, I need to know if I am growing in my religious vocation, in my communion with God and others, and in my community life. Or I need to know if I being a better wife, mother, or member of a religious family, thus promoting the reign of the Two Hearts. We must discern to know if we are fulfilling our mission given to us by the Lord. We must discover what the Lord is doing in each situation and how it is situated in the plan of redemption. We must know the purpose of each given situation and how to understand it. Finally, we need to discern so we do not distract ourselves from primary goals and priorities and give precedence to less important matters. Christian Discernment is inseparable from prayer; it is found only through communication with God. Christian discernment allows us to acquire the mind of God, who tells us, “my ways are not your ways” (Is 55:8). It allows us to come to know the mind and the way of God in particular situations. It is also inseparable from Scripture. Through Sacred Scripture we acquire the mind of Christ (Phil 2:5), which allows us to see the world, human realities, conflicts and remedies from the perspective of God. Christian discernment must also be based on basic common sense. In other words, we do not need to discern everything – where to eat, what to wear, etc. This would be to trivialize the gift. It requires us to use reason directed by faith. We must use our reason to apply faith to the situations of our lives. To discern is not simply to make a judgment based on human logic, but to seek the logic of God in communion with human reason. According to St. Thomas Aquinas, reason – which is also a gift - decides based on known facts. However, the Spirit may lead us to act differently for reasons known to God. Our thoughts so that they may not be outside of God. Our intentions so as to distance us from all that may be contrary to purity. Our affections and sentiments so as to direct them to God. Our exterior acts and the completion of our goals so as to order them to our final end. The moral judgment of an action; it allows us to see if it is good or bad. In this regard, discernment (versus prudence) judges more the impulses we feel so as to determine their origin. Prudence is a virtue, while discernment can be considered an attitude or a natural quality or a supernatural gift. Furthermore, in the examination of reason we must also look at error, which denies reason, but pretends to be exclusively from the Holy Spirit. Error tends to over-spiritualization, leading one to want only to be guided by inspirations, signs, visions, etc. However, the Lord speaks in a regular manner through ordinary events of our lives. He utilizes our reason and human judgment – but illuminates them with faith and directs them to love. In fact, ordinary inspirations are the preferred form of action of the Holy Spirit in those who live united to Him. He is the “love of God poured into our hearts” (cf. Rom 5:5); this means He acts by means of love more than through images or ideas. A vision like the one St. Peter had of the pure and impure animals (Acts 10:11-16). An idea or conviction that is formed subtly in our thoughts and without natural reason. God spoke to Abraham in this way (Gen 12:1-7; 13:14-17). As well, the Holy Spirit spoke to Phillip, moving him to his encounter with the Ethiopian (Acts 8:29-40). A dream like that of St. Joseph (Mt 1:20-24) or that of the Magi (Mt 2:12). Next, Christian discernment always follows right order. In general, this means that we will not make decisions outside the contexts or paths the Lord has been using in our lives. Christian discernment relies on our conscience, which is a guide to help us avoid making decisions outside the order, grace, and will of God. For example, there is no need to discern whether or not to have an abortion. Conscience already objectively makes this choice clear for us. Christian discernment requires purity of heart and of intention – one must be undividedly for God and His kingdom. “Only the pure of heart will see God” (Mt 5:8). This is not separate from penance and mortification. To the extent that we are poor in spirit, to the extent that we are more abnegated, forgetful of self, willing and docile, we will be capable of listening to the will of God. Furthermore, we must understand that we are a part of a greater plan and part of the Mystical Body of Christ. Each one of us is a small part of the entire work that God is doing in His Church. We have a limited vision of all the divine realities to which He directs His Church. We must discern inside the context of all that God is doing in His people. As well, to properly discern, we must use as criteria, both the teachings and the experiences of the Church. The lives of the saints – other men and women who have applied the teachings of the Church in their lives – have been given to us as a legacy and an example to follow. God speaks to us using His Word, Tradition and the Magisterium. He uses the Church. He uses prophetic gifts, which should to be discerned and confirmed. He uses inspirations – intuitive understandings that come from being in communion with the Heart of God and His will. Sometimes, He will use signs of confirmation; however, we should not always ask for these or expect them. An excess of these may actually suppress our responsibility to make a decision. As well, He uses circumstances in which we can perceive the work of God; but again, He does not always speak through these (1 Thes 2:18). Finally, He uses our brothers and sisters. This can include asking our spiritual director or close brethren to pray and help us to discern; however, we must also avoid listening to everyone or asking the counsel of many. Pride and arrogance constitute a great obstacle in discernment. This is manifested in thoughts such as, “I know what I want” or “no one needs to tell me” because I think that I always listen to God. This pride leads to the false notion of self-sufficiency. Another obstacle is formed when we give our own interpretation to the Scriptures. This happens when we are not formed in the Magisterium of the Church which is the only interpreter of Sacred Scripture. It happens when we are not formed in the Catholic faith. Our concupiscence – an inclination to sin and to not embrace the way of the cross and the narrow path – is another obstacle to discernment. It tends to seek what is easiest and less painful or costly. As well, tension between the “desire for greatness” and the “small way of fidelity” will hinder proper discernment. Our desire for independence often leads us to not submit our lives – with all that this entails – to the sovereignty of God. As well, strong attachment to our own desires and projects will not allow us to see God’s will. Another obstacle arises when our judgments are based on simply human judgment or when we are hasty in the making of judgments. Finally, impatience, manifested in a desire to have all things immediately, will also always be an obstacle to proper discernment. There are two types of criteria for good discernment: objective or external criteria and internal criteria. Fidelity to the doctrine of the faith: The Word of God is the absolute and valid truth, “the same yesterday, today, and forever” (Heb 13:8). Therefore, all inspiration which deviates from the faith does not come from the Holy Spirit (Deut 13:1-4; Gal 1:8). As well, St. John says, “This is how you can know the Spirit of God: every spirit that acknowledges Jesus Christ come in the flesh belongs to God, and every spirit that does not acknowledge Jesus does not belong to God. This is the spirit of the antichrist” (1 Jn 4:2-3). Fidelity to one’s state in life: One’s state in life is a call from God. No inspiration from the Holy Spirit can be contrary to the responsibilities of our state. What is a correct decision for one Christian may be incorrect for another because they may have different vocations or they may have distinct responsibilities within the same vocation. Obedience to legitimate authority: Promptness to obey legitimate authority is one of the surest criteria to discern an authentic inspiration of the Holy Spirit. “These charisms, whether they be the more outstanding or the more simple and widely diffused, are to be received with thanksgiving and consolation for they are perfectly suited to and useful for the needs of the Church…judgment as to their genuinity and proper use belongs to those who are appointed leaders in the Church, to whose special competence it belongs, not indeed to extinguish the Spirit, but to test all things and hold fast to that which is good” (Lumen Gentium, 12). It is possible for authority to err; but even then it is necessary that we obey. If the experience comes from the Holy Spirit, He will manifest Himself and will make His opponents accept it, as we have seen in numerous instances throughout the history of the Church. gentleness, self-control…If we live in the Spirit, let us also follow the Spirit. Let us not be conceited, provoking one another, envious of one another” (Gal 5:22-26). Let us examine some of the necessary interior fruits we should have to make good discernment. Humility: It is proper of the action of the Holy Spirit to foster humility, and for this reason it is one of the valid criteria in identifying authentic inspirations of the Holy Spirit. “If we live in the Spirit… do not seek vain glory” (cf. Gal 5:25-26; Mt 6:1-8; Jn 13:4-5). Jesus gave us an example of this. After the great manifestations of His power, He asked them not to be made public (Mt 8:4; Mk 8:30; Lk 5:14). As well, when they wanted to make Him a king, He hid (Jn 6:15). If we experience an impulse or desire to appear, to be held as important, we must ask ourselves if this is the impulse of the Spirit or our own. Peace: In all of Scripture, peace appears as the sign of the God’s presence. The peace that is produced by the inspirations of the Holy Spirit is a profound assuredness that we are in God and that God is in us. It is a proof that our relations with God are in order, and this order produces peace. “God is not a God of disorder but of peace” (1 Cor 14:33). It is possible that tensions and violence can arise in one’s effort to do the will of God, but these are similar to the waves of the ocean that are on the surface, while deep underneath there is calm. The reason for this calm is the confidence that “all things work for good for those who love God, who are called according to his purpose” (Rom 8:28). Joy: This is the emotion that is proper to one who is in possession of something good, of something that fulfills him. There is nothing as good as God (Lk 18:19), and for this reason, the inspirations of the Holy Spirit, which are a “coming of God” to us, give room to a profound joy. “Rejoice in the Lord always. I shall say it again: rejoice!” (Phil 4:4). This joy ought to reign even in the midst of sufferings: “They went out with great joy for having been considered worthy to suffer for the name of Jesus” (cf. Acts 5:41). Spirituality without joy is reason for concern. There can be moments of suffering and anguish in which joy is apparently lost, but these are very short, and underneath there is always an unalterable peace that moves the heart to confidence in God. Love: This is the principal criteria that measures whether or not inspirations and gifts come from the Holy Spirit because, if they are authentic, they will necessarily lead us to love. “The fruit of the Spirit is love.” The Holy Spirit is “the love of God poured into our hearts” (Rom 5:5), and therefore, His inspirations enflame us with love – love of God and our brethren. We conclude with the words of St. Paul: “Love is patient, love is kind. It is not jealous, (love) is not pompous, it is not inflated, it is not rude, it does not seek its own interests, it is not quick-tempered, it does not brood over injury, it does not rejoice over wrongdoing but rejoices with the truth. It bears all things, believes all things, hopes all things, endures all things” (1 Cor 13:4-7). The criteria for discernment can never be a norm of absolute certainty, although they can be guides that give some assurance as to origin of the inspirations – from God or from a bad spirit. If we are truly trying to seek the will of God, this lack of complete security should not unsettle us. Every human decision runs the risk of some uncertainty. The Lord will take into His charge our realization of His will even if we are not sure we are doing it. In those cases in which doubt persists, the safest norm to follow is to incline ourselves to that which will contradict most our nature. According to what St. Francis of Assisi says, we should pray, “Lord, grant that I may never seek so much to be consoled as to console, to be understood as to understand, to be loved as to love.” The reason for this is that the devil normally works by trying to take advantage of our weaknesses. Saint Paul reveals to us that “the works of the flesh are obvious: immorality, impurity, licentiousness, idolatry, sorcery, hatreds, rivalry, jealousy, outbursts of fury, acts of selfishness, dissensions, factions, orgies and the like” (Gal 5:19-21; Rom 1:21-32). These are the fruits of the diabolical spirit in us, and if our inspirations lead us to this, then we can be sure that they do not come from the Spirit.